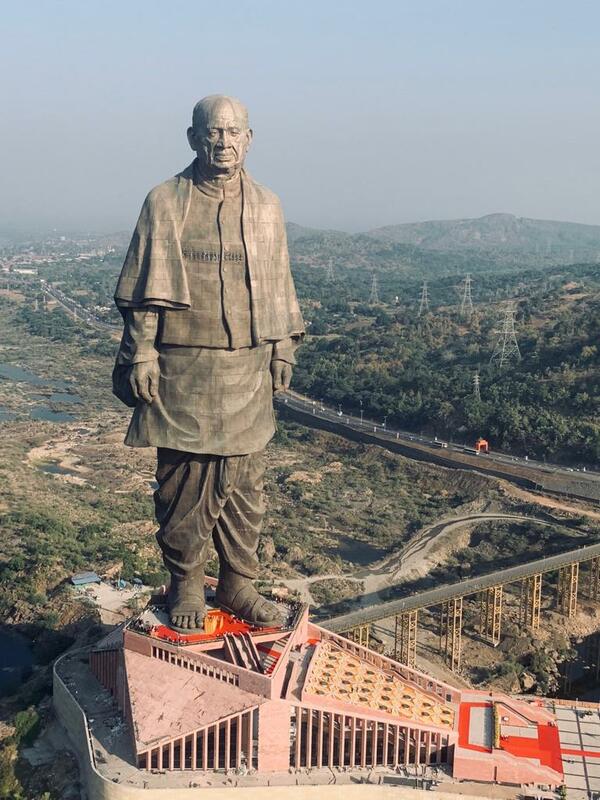 Gujarat, India, now boasts the tallest statue in the world. The nearly 600-foot-tall Statue of Unity, completed on November 1, is a bronze duplicate of India’s first deputy prime minister Sardar Vallabhbhai Patel. It was designed and master planned by Michael Graves Architecture & Design (MGA) and is intended to anchor what will eventually become a resort. The monument took eight years to design and four to build. Prime Minister Narendra Modi, at the time still the chief minister of Gujarat, first proposed the sculpture in 2010 and construction began in 2014. 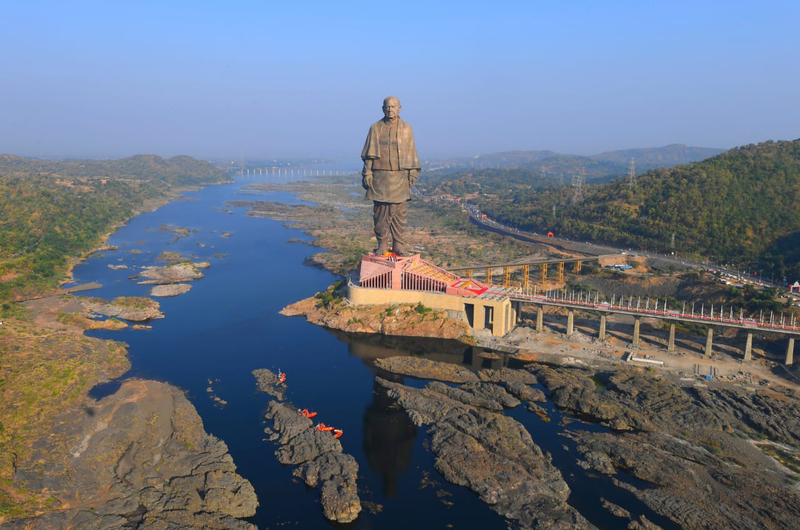 The statue proper, designed by Indian sculptor Ram V. Sutar, reaches nearly 50-stories tall and sits on a three-tiered base that boosts the height to its record-breaking status. The geometrically-sculpted base sits on its own riverine island and is connected to the mainland via a pedestrian and road bridge. Inside, guests are met with a visitor’s center, hotel, and an exhibition hall, all of which is topped with a memorial garden. Part of the challenge that MGA faced in designing an occupiable structure—a 500-foot-tall viewing platform in the chest is accessible through elevators that run through the statue—is the sculpture’s “walking pose.” The non-symmetrical pose posed a challenge in orienting the base, and MGA managed to hide the zig-zagging elevator system inside of the memorial’s flowing robes. Two structural concrete cores were used to anchor the Statue of Unity, which support the steel framework (cast from scrap sourced all over India) attached to the 2,000 tons of exterior bronze paneling. Vallabhai Patel was a central figure in the Indian independence struggle as well as the unification of India’s 567 British vassal states into one country. A rammed earth wall, constructed from dirt taken from every state in India, is used at the State of Unity’s base as a background for the national flag. 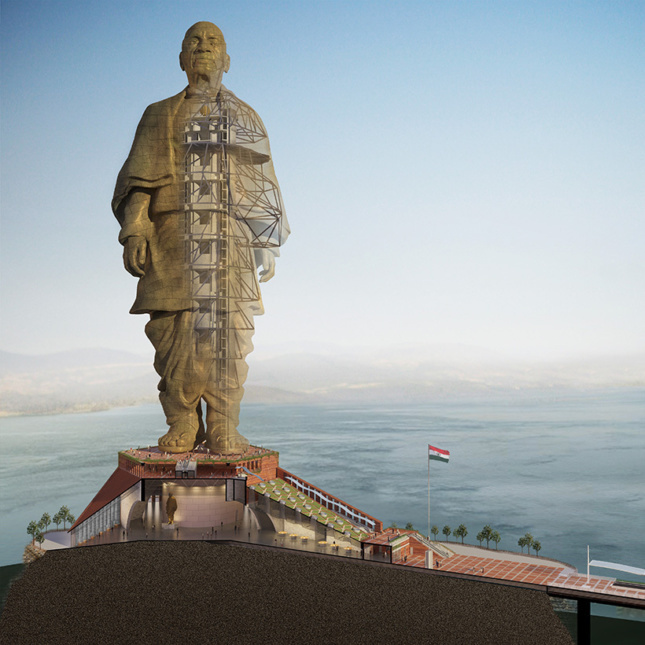 The $460 million statue won’t be the world’s tallest for long, as similar megaprojects are already in the pipeline. 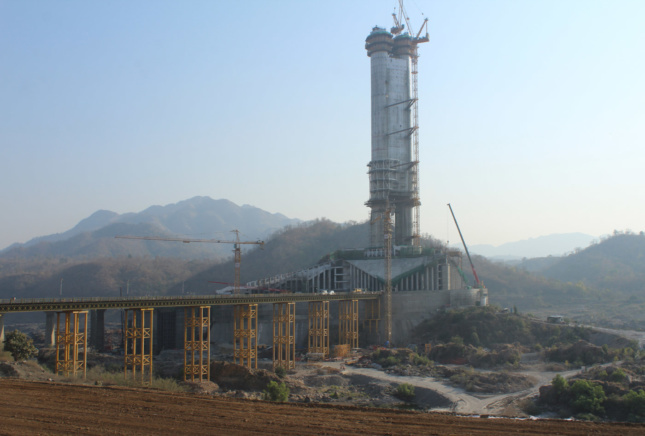 The Spring Temple Buddha in China, knocked down to second place, is planning to add its own podium and boost its height from 500 feet to 682 feet tall, and a 695-foot-tall statue of the Indian warrior-king Chhatrapati Shivaji is slated to open off of the coast of Mumbai in 2020.